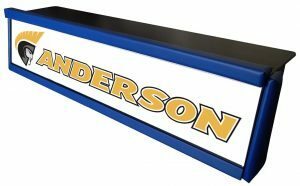 Built with high quality hardwood Sideline Interactive helps in creating a great and exciting graphics. Our ECONOMY BACKLIT SCORING TABLE, built with high quality hardwood, is be easy on your budget. It will give you a great exciting graphics table for your basketball gym. The ECONOMY BACKLIT SCORING TABLE comes in length of 8ft, 10ft, or 12ft. Use the SCORING TABLE for basketball, volleyball, or any event in your gym or school. 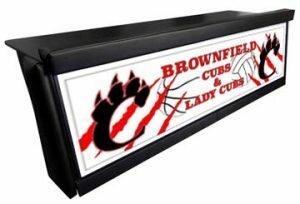 The Economy Backlit Scoring Table can be FREESTANDING OR BLEACHER MOUNTED.